If you’ve even halfheartedly followed the health world these last few years, you know intermittent fasting has become quite the rage among devotees who swear by its many benefits including weight loss and its potential to reduce disease risk. 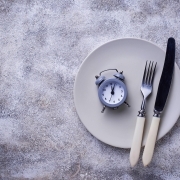 “Intermittent fasting, in which individuals fast on consecutive or alternate days, has been reported to facilitate weight loss preventing the progression of type 2 diabetes and consequently improve cardiovascular risk,” writes Salah Mesalhy Aly, PhD. Many of these are animal studies, though as benefits of fasting become more mainstream, I believe we will see more human studies elucidating these benefits. 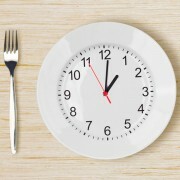 Numerous methods exist for intermittent fasting including alternate-day fasting, fasting 16 – 18 hours every day, and fasting 24 hours several times a week. The key concept for each of these is that during your fasting hours, you eat zero (or as close to zero) calories as possible. If you’re interested, I recommend starting with a 16-hour fast daily or even a few times a week. This isn’t as hard as it might sound: Have a big dinner, close up the kitchen for the evening (no nighttime snacking! ), and then have a late breakfast or early lunch the next day. No plan benefits everyone, and in my blog I’ve discussed people who should not do intermittent fasting. If you have any doubts, please confer with your integrative physician to determine whether fasting is right for you. Even if it is, please use common sense. If you feel any potentially detrimental side effects like feeling faint or nauseous, eat something. Research shows caloric restriction – reducing your calories about 20 – 40 percent – is the most effective way to regulate aging and increase healthy lifespan, (4) but constantly monitoring calories takes the fun out of eating. Some people underestimate how many calories they eat. Other limitations or restrictions like feeling hungry or deprived make caloric restriction a real challenge. Fortunately, fasting provides an alternative to get the many benefits of caloric restrictions without counting calories. Beyond being more sustainable and easier to manage, fasting provides many advantages of caloric restriction and and a few others it doesn’t. 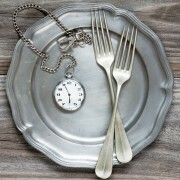 Fasting provides an alternative to get benefits of caloric restrictions without counting calories. 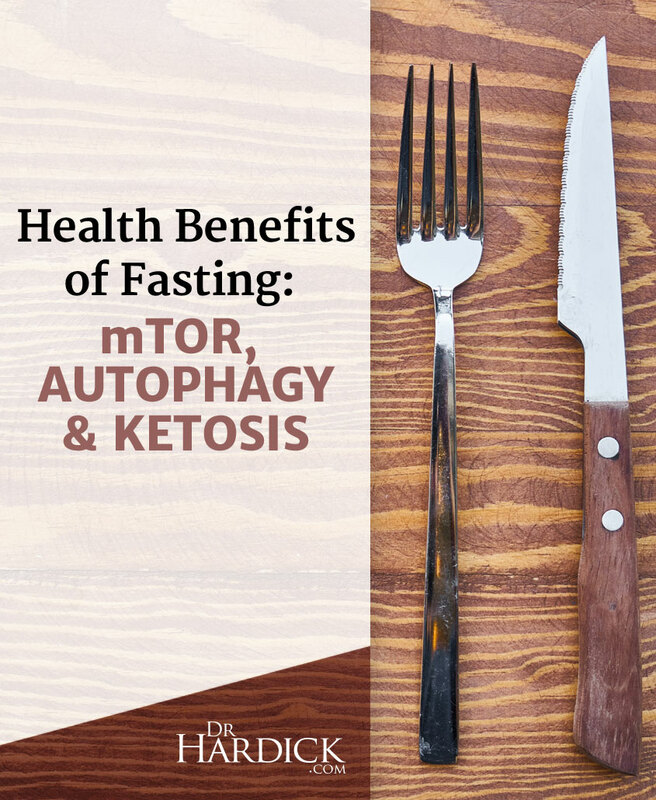 Researchers have defined three specific ways, in fact, that fasting can provide weight loss and other benefits: Inhibiting the mTOR pathway, stimulating autophagy, and inducing ketogenesis. (3) Let’s look at those three ways more closely. Let’s begin with a word that literally means “self-eating.” It sounds a little science fiction, and it certainly doesn’t sound like something that contributes to anti-aging. Don’t confuse autophagy with apoptosis. The latter process kills off the entire cell. This programmed-death process gets rid of potentially problematic cells, and defects in apoptosis contribute to many diseases including cancer (where cell accumulation occurs) or neurodegeneration (where cell loss ensues). (6) Rather than kill off the entire cell, autophagy occurs when your body needs to replace some cell parts. Think of autophagy as spring cleaning for your cells. This process removes old cell membranes, organelles, and other cellular debris and sends them via autophagosomes to your lysosomes, organelles that contains protein-degrading enzymes. In autophagy, your oldest, most worn-out cellular parts get discarded, whereas amino acids from the broken-down cell parts either go to your liver (to create glucose during gluconeogenesis) or incorporated into new proteins. Obviously, you want autophagy running at just the right rate to get rid of your cellular junk, and a prime way to do that is through fasting. That sounds great, but you don’t want autophagy occurring all the time. Fasting increases autophagy. Theoretically, the more amount of time you eat every day, the less amount of autophagy occurs. That’s what I meant when I said fasting provides the benefits of caloric restriction plus additional ones. With caloric restriction, you could be eating all day and limit autophagy. “The upregulation of autophagy seems to be unique to the fasting state, as well as possibly the exercised state, and it can easily be undone by even a small ingestion of food, specifically protein and/or amino acids,” says Brad Pilon in Eat Stop Eat. For the record, I couldn’t find any definitive answers about how long you need to fast to really kick-start autophagy, but we understand what can shut down this process. Pilon notes amino acids and insulin are autophagy’s principle negative regulators. In other words, essentially every time you eat – unless you are eating a pure-fat diet, which is unlikely – you shut down autophagy. When mTOR is activated, it suppresses autophagy. When mTOR isn’t activated – which occurs when you fast – autophagy increases. Every time you eat, you activate mTOR and suppress autophagy by increasing insulin and amino acid levels. The mTOR “pathway is an important sensor of nutrient availability,” writes Fung in The Complete Guide to Fasting. Evolutionarily, this makes sense. 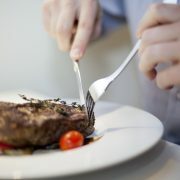 “Whenever we have lots of nutrition (mainly protein) and calories we essentially tell the body that plentiful times are here,” writes Joseph Cohen at SelfHacked.com. In other words, just like with autophagy, mTOR serves a purpose, but too much or too little of this pathway can create problems. “mTOR increases energy production, but also creates more junk products,” writes Cohen. He notes that sometimes we want to increase it – to boost muscle growth or brain power, for instance – while other times we want low levels to decrease cancer risk and inflammation while increasing longevity. Too much mTOR activation contributes to many problems including obesity, Type 2 diabetes, cancer, depression, and even acne. Eating activates mTOR; so does exercise and hormones like testosterone and the aforementioned insulin. The take-home here is that you want autophagy and mTOR to occur in the right balance. Too much or too little of either can create problems. And a key way to establish and maintain that balance is through fasting combined with ketosis. Fasting regularly can help optimize autophagy and the mTOR pathway, but it also provides a third benefit: Shifting your body into cyclical ketosis. Simply put, ketosis occurs when your body utilizes fat – more specifically as ketones – rather than glucose (carbohydrate) as its primary fuel. (18) Notice I said fat there. A diet high in fat becomes one way to get into ketosis; fasting is another way because your body draws on stored fat for fuel, and who doesn’t want that? Again, from an evolutionary perspective this makes sense. 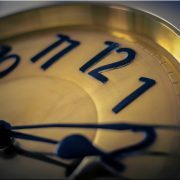 Think about what happens when you fast for, say, 24 hours. Today you do this out of choice, but in our hunter-gatherer days you might not have any available food coming in some days. When you fast, you don’t have that glucose to fuel your brain and other organs. Fortunately, your body has a backup system; otherwise your brain (and pretty much every other organ) would shut down and you’d die. That alternative is ketones. Your body can literally reach into your fat stores and convert that fat into energy as ketones. Ketogenic diets can also protect against oxidation. Fasting becomes a great way to get ketosis’s anti-aging and other benefits without always eating a high-fat diet, taking expensive (and in my opinion overrated) exogenous ketones, or otherwise obsessing about whether you’re in ketosis. Earlier I said cyclical ketosis, or utilizing ketones predominantly as fuel at some times and glucose at others. Ketosis shouldn’t be a long-term 24/7 condition. Fasting makes a great way to create cyclical ketosis. During your fasting hours, you will likely at least “flirt” with ketosis, especially after you’ve maxed out your glycogen stores. (If you’re eating a ketogenic diet, you’ll do that pretty quickly.) When you eat, you can focus on nutrient-rich whole foods including legumes and fruit, which would probably be too carbohydrate-heavy to eat on a ketogenic diet. Essentially, fasting gives you the best of both worlds. Whereas autophagy is a catabolic process (it breaks things down), mTOR is anabolic (it builds things up). (23) Both processes play important roles in your body, and you need the right balance. Fasting becomes a great way to get that balance. It also makes an ideal way to get cyclical ketosis’s benefits without being hyper-vigilant about counting carbs. You fast for, say, 16 – 18 hours (shifting your body into ketosis) and then eat healthily during your feeding hours. Even though ketogenic diets have been utilized for about a century now, we’re still not entirely sure about long-term effects of eating a very-high fat diet. As I noted in my earlier article about ketogenic diets, research that looked at what many hunter-gatherer societies ate resembled nothing near the 80 – 90 percent dietary fat found in ketogenic diets. That’s a lot of dietary fat. Keep in mind, as well, that toxins congregate in fatty tissue, so eating a ketogenic diet with mostly conventional animal foods (like grain-fed steak or farm-raised fish) could become a toxic disaster. Fasting can be a great way to optimize the benefits of autophagy, mTOR, and ketosis, but you want to approach it correctly. If you feel like fasting might benefit you, I recommend committing to doing it consistently for four to six weeks and see how you do. I want to emphatically say if you have any reservations, please confer with your integrative physician or a qualified nutritionist about fasting. Don’t jeopardize your health. Even if you do think it’s for you, fasting can be tough going in the beginning, especially if you’re used to eating throughout the day. 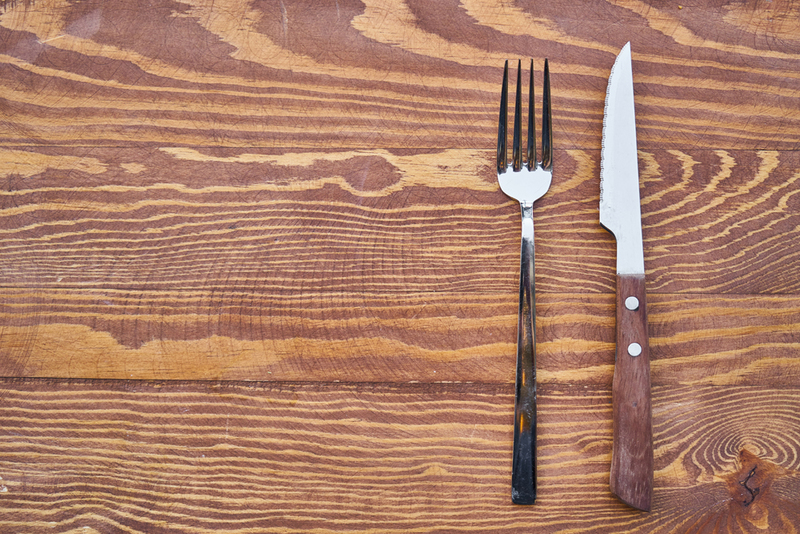 I’ve found these five strategies can help if you’re a fasting newbie. Especially if you’ve never fasting, don’t start with a 24-hour or longer fast. A good way to tip your toes in the fasting waters is to eat a solid dinner and then close the kitchen. Push breakfast the next morning as far back as you can. You might stop eating at 7 p.m. and then have the following morning’s breakfast at 9 a.m. You’ve created a 14-hour fasting window relatively painlessly, since you’ll be sleeping about eight of those hours. 2. Don’t make your meals a free-for-all. Fasting gives you a little leeway with your meals, but devouring a cheeseburger and fries after fasting 16 hours makes a surefire way to undo your hard work. Sticking with whole, unprocessed foods will balance your blood sugar, optimize insulin and other hormones, and reduce cravings during your fasting hours. Thirst often comes disguised as cravings. If you feel hungry or craving those donuts your coworker brought in during fasting hours, have a glass of filtered water. Keep a canteen nearby. Black coffee (if you’re not caffeine sensitive) or unsweetened green tea also make great hunger-curbing drinks. 4. Practice good lifestyle hygiene. Intelligent fasting goes beyond what you eat or don’t eat. Solid sleep, managing stress levels, exercising regularly, and getting the right nutrients complement fasting’s benefits including weight loss and reduced disease risk. A brisk walk can take your mind off food during fasting hours, and many people find working out fasted ideal. 5. Remember biochemical individuality underlies everything. Nothing works for everyone, and fasting is ultimately a tool to improve health, not a lifestyle or a “cure-all.” Fasting isn’t the only way to optimize the benefits of autophagy, ketosis, and the mTOR pathway. Some people will do splendidly fasting while others will find it miserable even after doing it for a few months. Worth repeating: Certain people should not fast, including pregnant or nursing women, people with thyroid or adrenal imbalances, and those with eating disorders. If you have any doubts, confer with your integrative physician and proceed cautiously. Are Eggs Good for You? Evaluating Health Benefits of Eggs Organic Food Delivery Programs in London, Ontario – Are they Worth it?